Allegiant Airlines is adding a nonstop flight from Wichita to Florida. 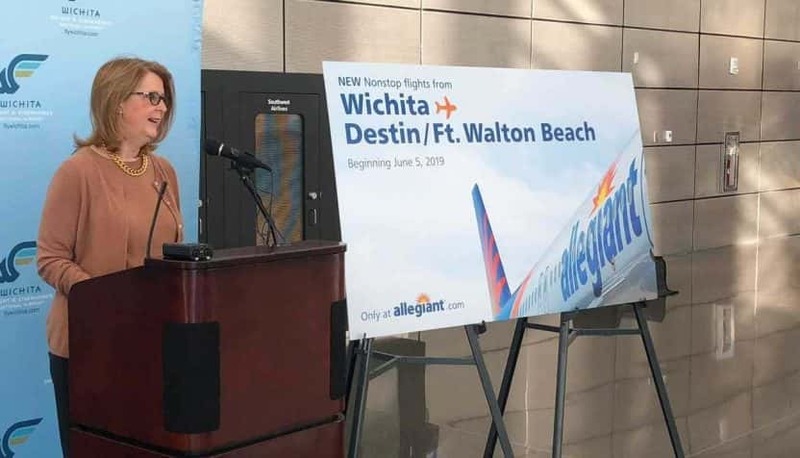 The airline announced Tuesday morning that it will offer direct flights twice a week to Destin-Fort Walton Beach, Florida. Those flights will begin June 5, 2019, and flights booked between Feb. 13 and Aug. 13 will cost as low as $59. 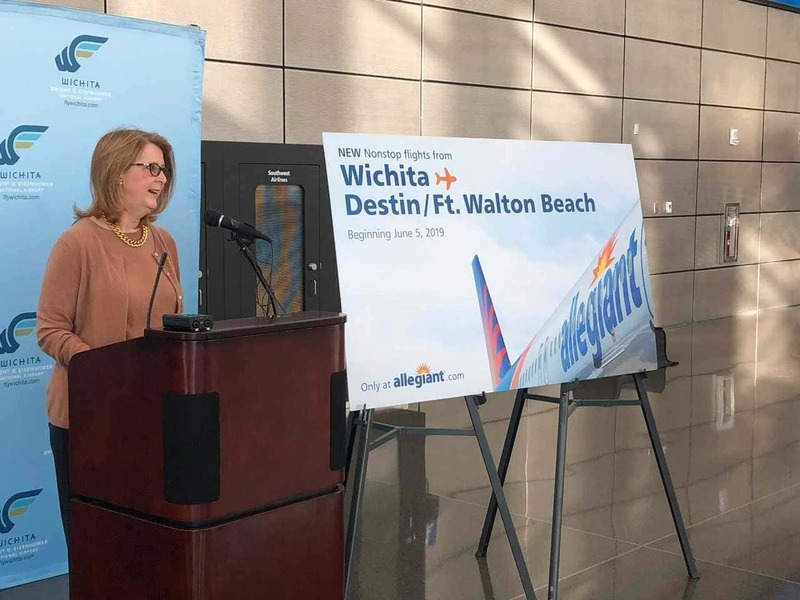 Allegiant stated in a press release that, with the addition of this new route, Allegiant will serve five cities from Wichita. Eisenhower National Airport is holding an “Air Service Announcement” at 9 a.m. Tuesday. The airport did not specify whether it is related to the Allegiant announcement.